David Lee VanDoorn, age 82, of Fort Wayne, died Saturday, September 22, 2018 at home. Mr. VanDoorn was born on October 10, 1935 in Quincy, Illinois to the late James and Gertrude VanDoorn. He graduated from Quincy Senior High School in 1953 and honorably served his country in the United States Army from 1954-1957. He married Edith Gaynell Herndon on March 30, 1974 in Fort Wayne, Indiana. David was a retired chemist with General Tire in Wabash. He loved holiday gatherings with his family, car racing, Sunday drives, fishing and antique cars. He also loved his cats, hunting, H.A.M. radio, playing music, and spending time with his family. Wife of 43 years, Edith VanDoorn of Fort Wayne. Daughter, Deborah Flotow of Fort Wayne. Daughter, Donna Hanley of Fort Wayne. Son, Danny and Norma VanDoorn of Uniondale. Son, Raleigh and Naz Horne of Coldwater, Michigan. 14 grandchildren, 33 great grandchildren, 1 great-great grandchild. He was preceded in death by his parents; sons, David VanDoorn,II; and Rodney Horne. Funeral services will be held Thursday, September 27, 2018 at 3:00 PM at First Baptist Church, 202 West Cherry Street, Bluffton, Indiana 46714. 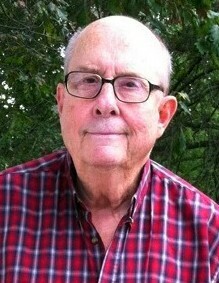 Pastor Les Cantrell will officiate the funeral service. Visitation will be held an hour prior to the service from 2:00 – 3:00 PM. Memorial donations may be made to the family or First Baptist Church. Share your favorite memory or send a condolence online at www.northernindianafuneralcare.com. Arrangements entrusted to Northern Indiana Funeral Care of Fort Wayne.